Service | Ion Electrical & Controls Ltd. The Ion Electrical & Controls team collectively has several decades of electrical expertise specializing in building automation, HVAC, and commissioning. 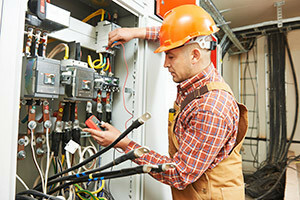 We respond to emergency calls in a timely manner and provide solutions to your problem that ensure your facility is restored to normal operations as quickly as possible. Our customer service-oriented team conducts itself in a respectful manner at all times and minimizes inconvenience to building occupants.